The Brainwave Entrainment Audio contained herein is for tapping into Prince Orobas. The frequency used is Beta and Theta, with a musical accompaniment, which will hasten your mind for his conjuring and place you in the right state for his presence. He supposedly gives true answers of things past, present and to come, divinity, and the creation of the world; he also confers dignities and prelacies, and the favour of friends and foes. 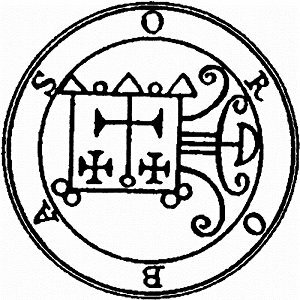 Orobas is faithful to the conjurer, does not permit that any spirit tempts him, and never deceives anyone. He is depicted as a horse that changes into a man under the conjurer's request.